These organizations currently support the mission of IASWG and group work. We thank them for their support. IASWG Organizational Members receive many benefits including: 1) acknowledgement in our annual IASWG Symposium Program; 2) discounts on IASWG Symposium Program ads; and 3) if an IASWG Organizational Member sends to the IASWG Symposium any staff or faculty person from the organization or school who is not an individual IASWG member, the person(s) can register for the IASWG Symposium at the same reduced rate as an IASWG member. The membership fee for Organizational Membership is $500.00 for large schools (15 or more social work full-time faculty) and agencies (15 or more full-time social work staff); and $250.00 for small schools (14 or fewer social work full-time faculty) and agencies (14 or fewer full-time social work staff). 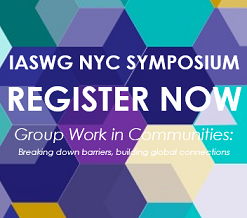 If you have any questions about the membership process, please email [email protected] For your convenience, process your payment by downloading the IASWG Organizational Application or online.